Hello MIUIers, hope you are doing well. 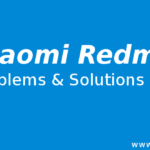 Today we talk about App hiding process in Xiaomi Redmi Note 7 Pro mobile. As we all know this is a very important thing for all of us. We all want to hide something from general friends/child. Like you want to hide a particular game app in your Redmi Note 7 Pro, OR you want to hide Google Playstore in your Redmi Note 7 Pro. Then this article will surely helpful for you. 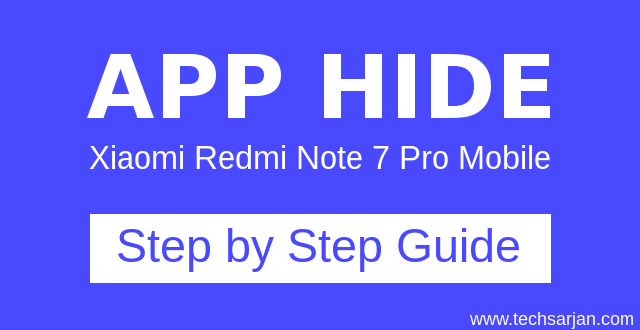 Here we learn how to hide Apps in Redmi Note 7 Pro mobile in an easy way with complete step by step guide. As we all know MIUI is far enough for most of our needs. 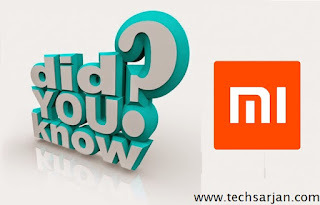 In this case, MIUI also gives a flexible solution without any third party app. 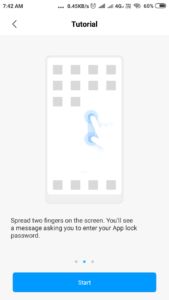 MIUI App lock provides inbuilt App hide facility where you can easily hide apps via following some easy steps. 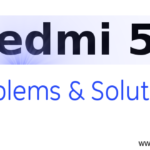 Here we discuss all the above possible ways which can help us to hide an App in our Redmi Note 7 Pro mobile. 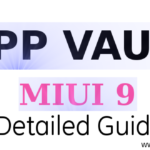 This function provides by MIUI which is generally available for MIUI 9 and above versions like MIUI 10, MIUI 11, etc. This is the best way to hide Apps in MIUI 10 which is provided by the App lock function. Now enter your pattern which you set for App lock function. Here App Lock list appears which are locked by you, tap on setting icon from right side top. Here at the bottom, you see Hidden Apps option. Just enable this option. This app hide function started now. 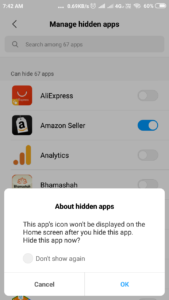 Tap on Manage hidden Apps and hide your desired app which you want to hide. 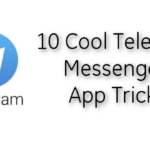 Here you learn app hide in an easy way. Here are some limitations of this app hide functionality. Hide App unlock code is the same as App unlock code so any other person who knows your app lock password can easily check your hidden apps as well. 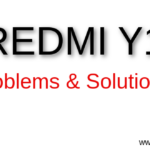 This problem can also be solved in our second solution which we discuss below. In this method, you can’t hide system apps like PlayStore, Calculator, etc. When you hide an app, It’s moved to a hidden folder. It’s home screen shortcut is hidden as well. This feature is not supported for system apps. Many launcher Apps gives app hidden functionality. But All of them are paid. You need to purchase that launcher than can use for app hidden purpose. 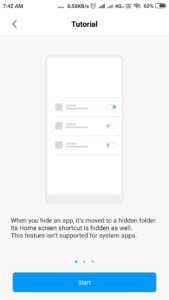 Here we learn App hide process in Xiaomi Redmi phones. You can easily hide apps through MIUI launcher as well as POCO launcher. Soon we also suggest third-party launchers in other artcile.